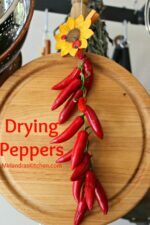 This simple method for drying peppers gives you all the tools you need to dry those extra garden peppers for winter. 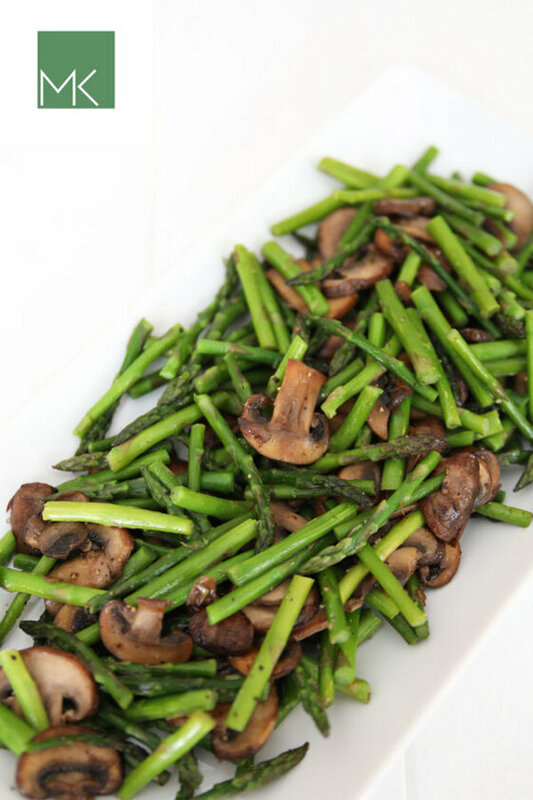 You can preserve extra food in minutes. July is here and the heat is making my garden explode with food! No matter how much I try to hold myself in check I always plant too much. We give some away but it’s nice to find simple ways to put some up for the winter too. Anything I preserve for winter increases the value of the time I spend in my garden in the spring and summer. Plus it is food I don’t have to buy come winter! Jonathan is a hot pepper nut. He loves them and we put them in all sorts of different foods. It is one of those things that is well worth my time to put up. Also, it’s a very easy project. 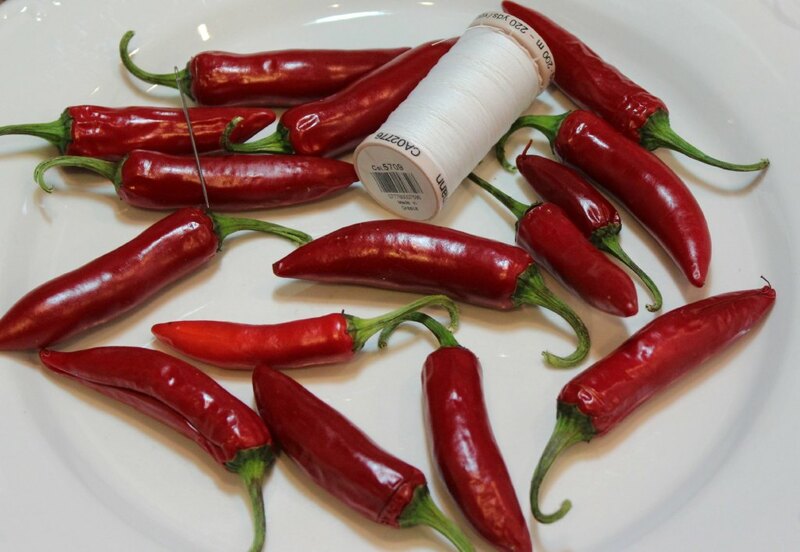 You need whatever hot peppers you wish to dry, some clean thread and a needle. I thread the needle and knot the two ends of thread together. This double thread is stronger and the knot is larger. Run the needle through the green top of each pepper. As the peppers dry the green stem will remain stronger which keeps your peppers on the string. You can leave the string of peppers straight or tie the ends together in a loop if desired. Hang in a dry place for winter. Make sure to clean your needle and your hands very carefully before touching anything. If you prefer, wear disposable gloves. Remember that you want air to be able to circulate around the peppers so that they don’t mold. Also be careful not to hang them in the sun where the color can get bleached out. 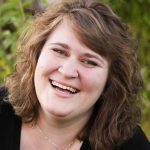 You can use them any time – the longer you leave them, the drier they get until they are fully dry and cured. At that point you can store them in an airtight storage container. 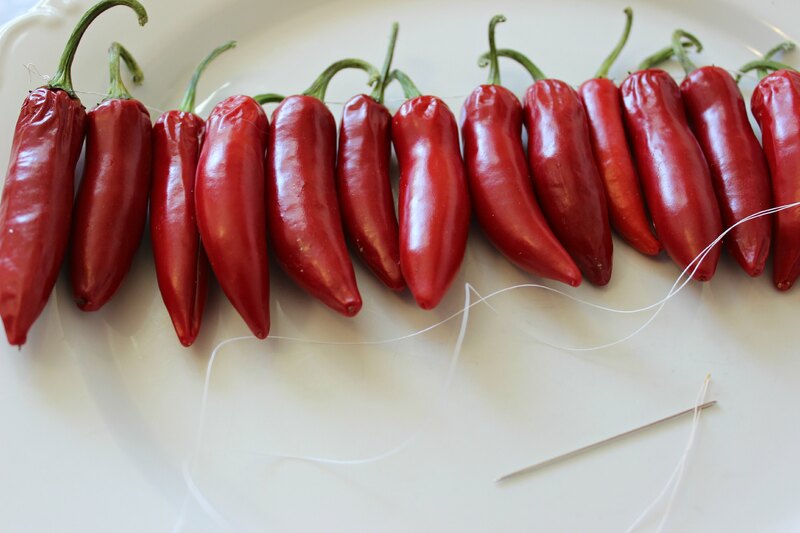 Thread each pepper onto the needle until all peppers are strung together. Hang where there's good air circulation until dry. 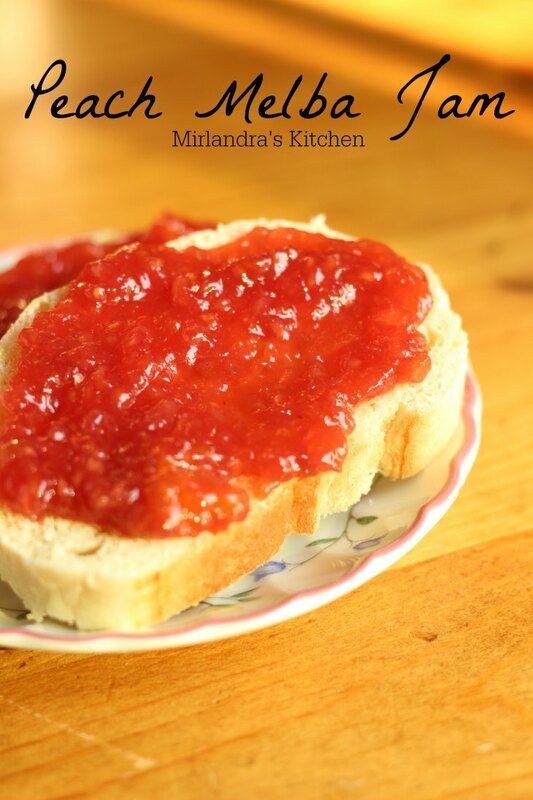 Another favorite summer food preservation recipe of mine is this Peach Melba Jam. Enjoy!